Ariel, who was a picture of beauty, lead off by saying that she was not very comfortable. She often felt like she made odd faces in pictures. Who doesn't, right? 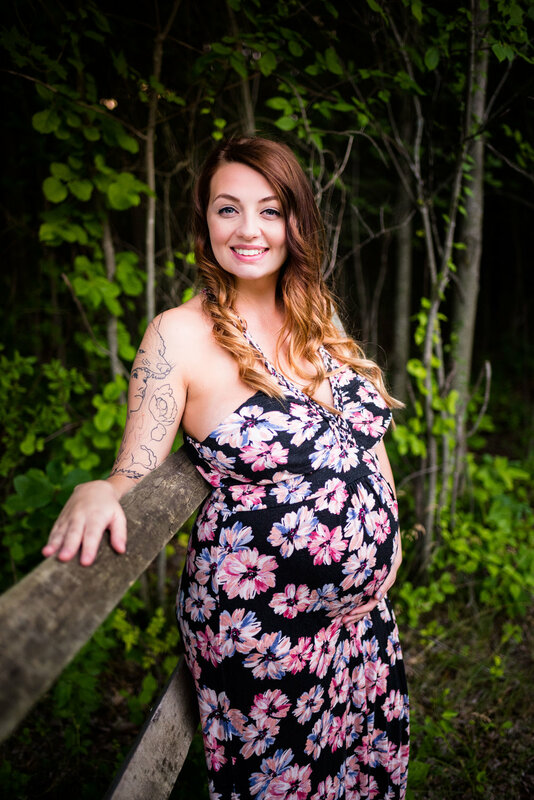 She also told me, while she had always been happy with her body, since pregnancy, she was concerned she might not like the way her body now looks in photos. 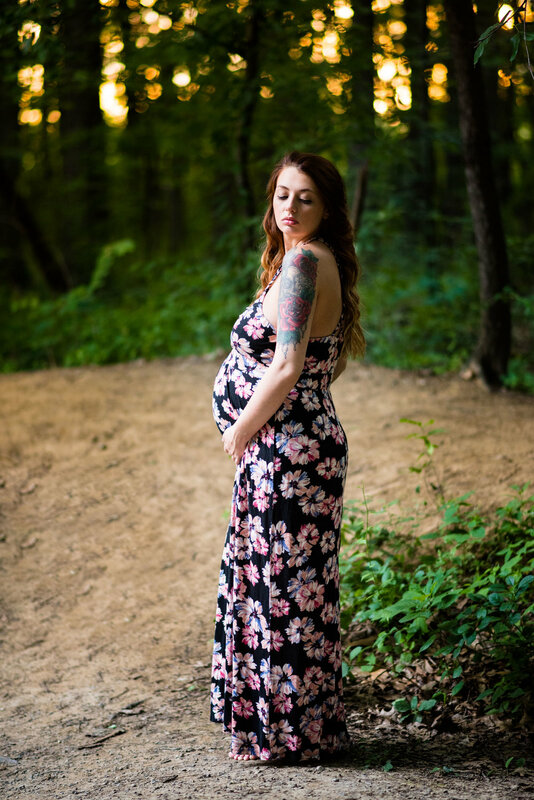 This is a feeling many women have in front of the camera, but especially when they are pregnant. A pregnant woman's body is changing in new and exciting ways and yes...will gain some weight. She needs to in order to accommodate that little one! I assured Ariel she looked stunning. I also explained how posing can help to highlight the features we admire while diminishing those we don't. I promised not to put her in any positions which did the opposite! Ariel chose to trust me, and the results were magic! Ariel wore a perfect floral dress summer dress which made her look cool and confident. We explored some of my favorite spots at Wintergarden Park in Bowling Green and the day could not have been more perfect for photos! I had a lovely time working with this brave, spunky and sweet soul. Her little man is about to meet his wonderful mama any day now! 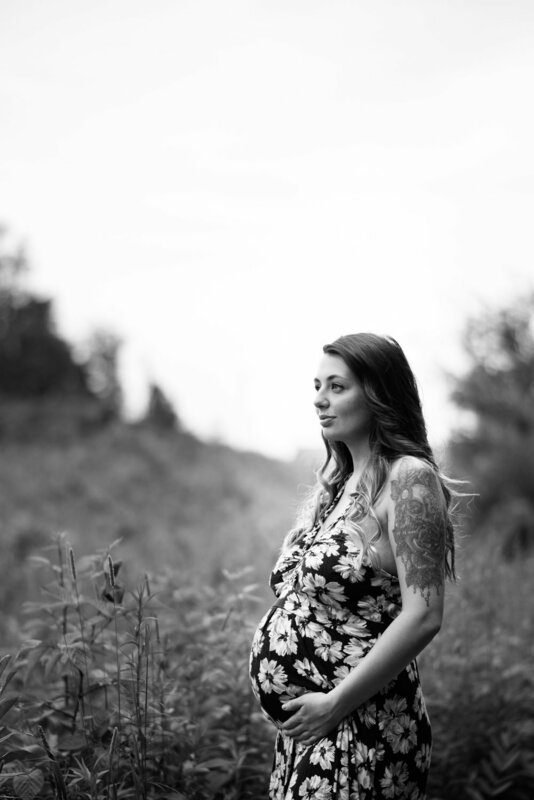 Please enjoy some of her maternity portraits!